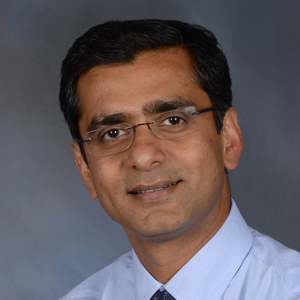 Sachin Yende, MD, assumes a new leadership role as the Interim Deputy Chief of Staff for the Veterans Affairs Pittsburgh Health System (VAPHS). He will continue to serve as Vice President of Critical Care, a position he has held at the VAPHS since 2014. In this dual role, he will serve as a member of Executive Leadership Team for VAPHS. His appointment is effective December 11, 2018. Dr. Yende completed medical school training at King Edward Memorial Hospital, University of Mumbai in 1995, and his residency in Internal Medicine at Methodist University Hospital, Memphis in 1998. In 2005, he completed his Pulmonary/Critical Care fellowship training—and served as chief fellow his final year—at the University of Tennessee. Dr. Yende joined the Department of Critical Care Medicine at University of Pittsburgh in 2006 as an Instructor, and was subsequently promoted to Assistant Professor, Associate Professor, and Professor of Critical Care Medicine and Clinical and Translational Sciences. Dr. Yende’s research focuses on improving short- and long-term outcomes of sepsis. He is conducting several epidemiologic and translational studies to understand how an episode of sepsis worsens chronic diseases. Nationally, Dr. Yende leads a large consortium to test personalized strategies for sepsis using adaptive trial design.